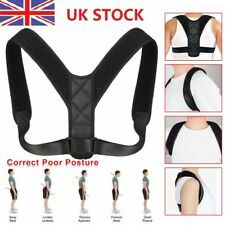 Body Shape Wellness Posture Corrector Adjustable Shoulder Back Support Belt Vest UK Seller. 45% vor, die bis zum 26.09.2012 bzw. 26.09.2016 erreicht werden sollen. Zudem werden Recyclingquoten von 75% bei Blei-Säure-Akkumulatoren, 65% bei cadmiumhaltigen Akkumulatoren und 50% bei sonstigen Batterien und Akkumulatoren vorgeschrieben. Duracell Activair hearing aid batteries have a long easy tab applicator especially helpful for those with dexterity problems. Easily cut to size to fit any size shoe for males or females, shoes, trainers, heels, etc. Alleviates foot pain. Food Storage. Further Details. Fitness & Exercise. Sport & Exercise. Fixing & Fastenings. Diese Batterien sind sehr hochwertig! Extra Advanced! Typ: Knopfzelle. Produktart: Hörgerät-Batterie. Hörgerätebatterien Rayovac Extra Advanced. Sie können gebrauchte Batterien und Akkus auch über uns kostenfrei entsorgen. 2 PEZZI DI CORRETTORE IN SILICONE GEL, SEPARATORE PER ALLUCE VALGO ORTOPEDIA. Coppia con divaricatore alluce valgo. - Materiale: Gel silicone. Più di 30 ore di monitoraggio in continuo con batterie alkaline (tipo AAA 1,5V) (NON INCLUSE) Range di misurazione:SpO2: da 70% a 99% Pulsazioni: da 30 bpm a 240 bpm. Leggero, portatile e semplice da utilizzare. Nr1 Stetoscopio. NON PUO MANCARE NELLA VOSTRA CASA. DOTATO DI UNA BORSETTA PER POTERLO RIPORLE AL SUO INTERNO E PER POTERLO PORTARE CON VOI ANCHE QUANDO NON SIETE A CASA RISULTANDO COSI' COMODO E PRATICO. 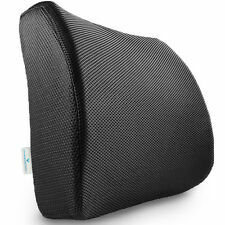 Whether you need support in your computer chair, office chair, deep seat, car seat, or recliner, this cusion fits just about any seat. And since this cusion cradles your backside, you won't be lifted high in your seat. Rayovac size 13 hearing aid batteries x 60 cells & FREE BATTERY CADDY. Box of 60 cells supplied with Rayovac Battery Caddy Holder. The hearing aid battery holder has space for storing up to 3 hearing aid batteries of any size. Per eseguire un test con il sistema BGStar™ è sufficiente un piccolo campione ematico di 0,5 µL. 25 STRISCE REATTIVE. STRISCE REATTIVE. Usare le strisce reattive BGStar™ una sola volta. Utilizzare solo strisce reattive BGStar™ con il sistema BGStar™ o iBGStar™. Simply slip Sentik Sit Tight over the back of your chair and you'll feel the difference in an instant. Fits almost any chair; Lightweight & easy to use. Stylish, lightweight and cost effective, Sentik Sit Tight is the ultimate back support solution. 2x correttore divaricatore dita. Un paio di correttori dita del piede. Si applicano ai diti dal quarto al quinto del piede. Siamo venditori professionali. Diritto di recesso. Acquistate in sicurezza. 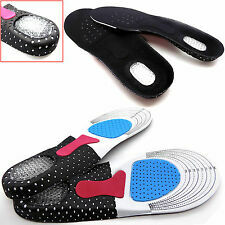 Its high quality, fashionable, comfortable and stabilize foot motion. Provide Arch Support. Type: Arch Support. Distributes pressure and absorb shocks. 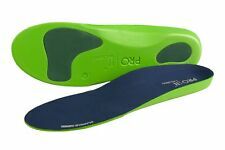 Reduces heel pain, shin pain, knee pain and back pain. A quick way to stop slouching and hunching when sitting with rounded shoulders at a table. 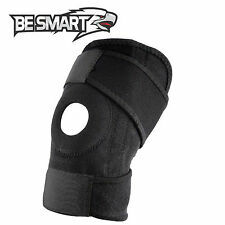 Durable and soft brace design allows effective assistance while being comfortable to wear. 2 x Armpit Pads. Size: One Size, fits chest sizes 28" - 48".